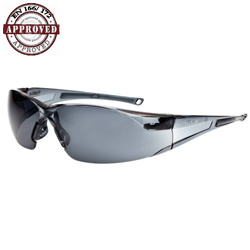 The Rush safety glasses have a classic wraparound shape designed for comfort and protection in mind. 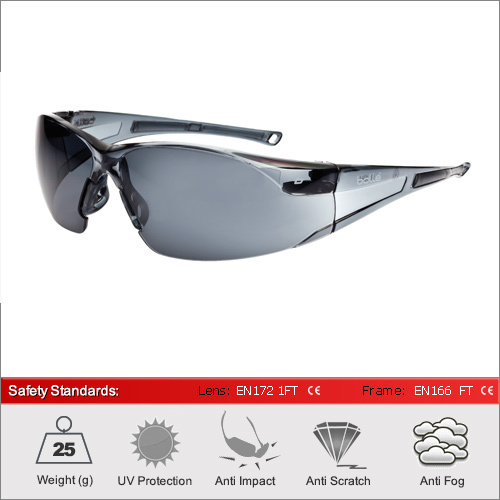 They have the platinum coating for protection against scratching and fogging whilst also having added comfort with a non slip nose bridge and flexible temples. We have 4 lenses available in this frame. The clear lens for 100% optical quality 1 performance. Smoke for full solar protection and reducing glare. The twilight lens for low light conditions outdoors. Finally the HD with the highest level or optical clarity and aquaphobic properties.For a full explanation of the different lens types and their ideal usage please see our dedicated Lens Advice Section.